8″x8″, acrylic on birch wood panel with 1.5″ profile, en plein air 8/7/18, completed 8/13/18, © Steve Miller 2018 I worked on this painting while visiting a beach in Douglas, Michigan with friends and family. Last week, I made a painting while visiting Douglas Beach on Lake Michigan with my family and friends. I had a blast working en plein air, under shade, while everyone else played in the sand and water. Studying the changing light and reflecting surfaces of the water was mesmerizing, but I had to work quickly laying in compositional and color choices before my acrylics dried or the light changed too drastically. The finished painting took approximately 2.5 hours on site, and a couple more hours in my studio. 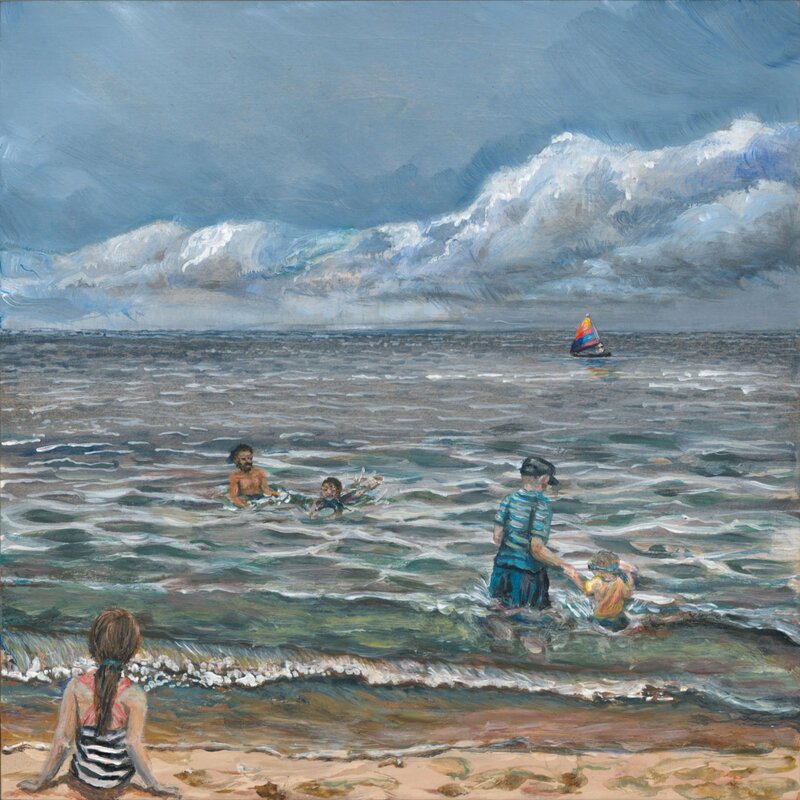 Here is my FB Post about painting “A Day at Douglas Beach”. Visit the portfolio entry for “A Day at Douglas Beach”.